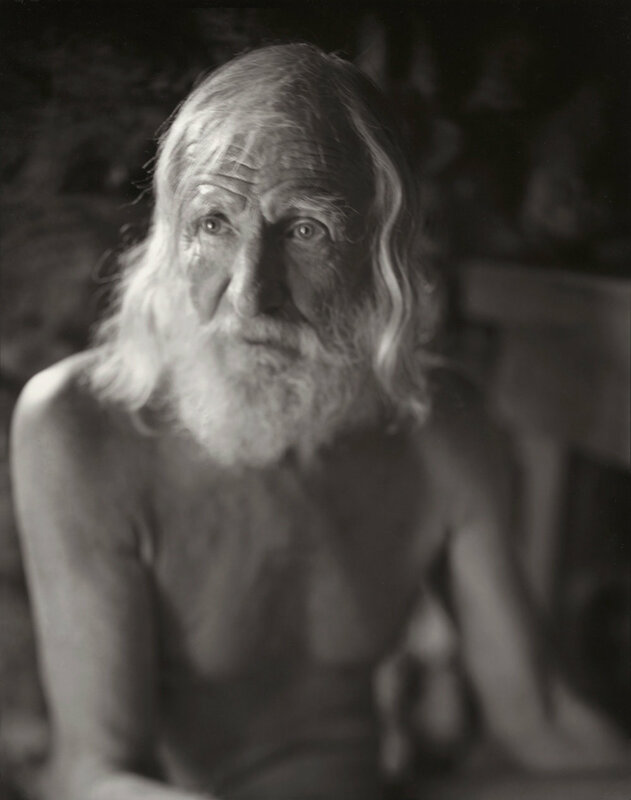 Walter Chappell, El Rito, 1997 8 x 10 contact print. I am not a technical photographer, though my work depends on certain skills developed through practice and persistence. I learned printmaking from Walter Chappell as an essential part of photography and received a kind of apprenticeship from him. My first lessons taught me to respect the nature of my materials. I began by following Walter in the darkroom, learning to mix chemistry from the formulas he was using at the time, and participating in his film and print development. I had already been experimenting with different papers, and Walter let me work with the many varieties he had stocked in the darkroom. Our work had begun with a question: What did I want? I wanted to learn to print well, and he knew that he could teach me. But he also had a plan in mind, which was that I might begin working with the 8 x 10 view camera. His enthusiasm for my undertaking this was irresistible. It was, however, very challenging for me, as I was quite unskilled, and stubborn. I wasn’t yet patient, but he was, and with consistent gentleness he assisted me in overcoming the technical and other difficulties I faced. After a couple of years, I produced seven very good prints, a modest culmination of my apprenticeship. Walter encouraged me to continue exploring, to try other printing formulas and papers, to discover for myself their possibilities. It was only after his death in 2000, that I began to fulfill the lessons of our time together. I had been prepared to embark on my own, though it took much time and practice to understand this. One of the “seven very good prints”. First printed in 1999 as an 8 x 10 enlargement of the 4 x 5 negative, on Oriental Seagull grade 2. 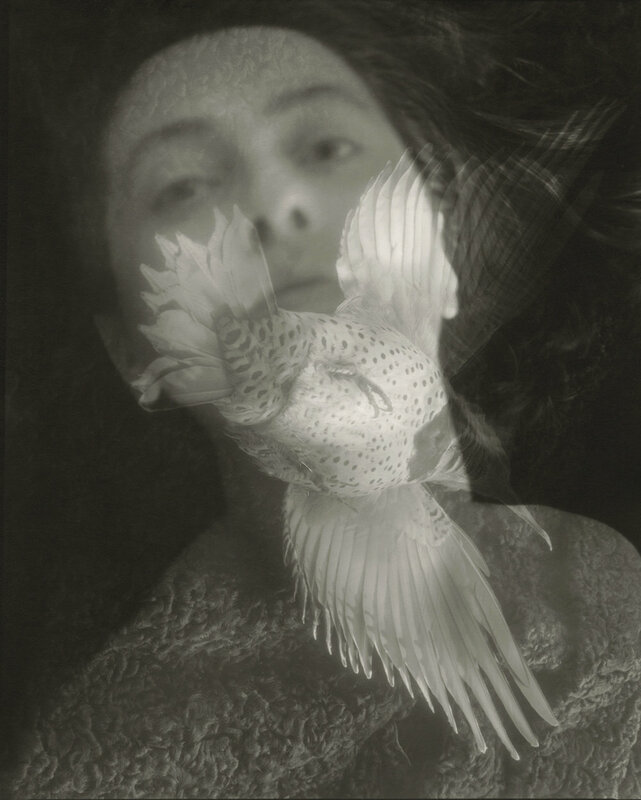 Second printing in 2007 as a contact print on Bergger multigrade. I can see how my work corresponds to my nature— I am both traditional and experimental, and welcome the unpredictability of new materials. It’s not a desire for novelty, but to explore possibility and particularity. Some elements become fixed for a while, and then new pictures arrive which invite new methods and materials, and sometimes even require them. I work with many different papers, many of which are now or have been for a while discontinued, in order to discover different surfaces and tonalities, to find the match most suiting the image. I mix my developers— primarily PMK Pyro, and a secondary non-staining one for film, and for paper, mostly Ansco formulas, found in The Photo Lab Index, by Morgan and Morgan. Most of my prints are contact prints, which means that the negative is in direct contact with the paper, as opposed to projection of the image onto the paper via an enlarger, so the prints are the same size as my negatives— 8 x 10 and 4 x 5 inches. I feel that this method provides perhaps the most delicate rendition of detail, though I do not deride enlargements, or using digital negatives. All of my prints receive toning in selenium and/or gold chloride solutions. After fixing, prints are washed to archival standards. They are spotted to remove dust which may have been in contact with the film or paper at the time of exposure, and also sympathetically, which I shall leave to your imagination. Finally, they’re dry mounted on Rising Museum board, a cotton rag mat board, which is a procedure that seems infrequently practiced now, but I like my prints finished this way— flat and neat. It’s actually what I was taught at City College of San Francisco, and learned to do well with Walter. My instruction from him follows upon the practices he learned during his printmaking apprenticeship with Minor White. With Walter, there was always the presence of discovery. Every session in the darkroom contained the possibility for something new, and when a challenge presented, old notes and books were consulted, or sometimes a call placed to a friend who might point the way to a solution. When I have technical questions now, I turn to Ansel Adams and my copy of The Print, as did Walter, and to William Clift, who has given me important guidance. It gives me pleasure to think that my photographs carry and might extend their influence, at least in the area of printing technique. My teachers did not teach me to see. They oriented me, showed me things, and helped me to understand that I would need to learn to see for myself. Perhaps the most important parts of my practice have been a capacity to endure failure, and to embrace the extended periods of time alone in the dark. I do not make editions of my silver prints. It feels untrue to me, because a negative can be printed perhaps indefinitely, and what becomes limited is the possibility of reviewing an image with new materials, techniques and awareness. The negative image is fixed in time, but the print is mutable. Only a few pictures I consider fixed in a certain rendition. 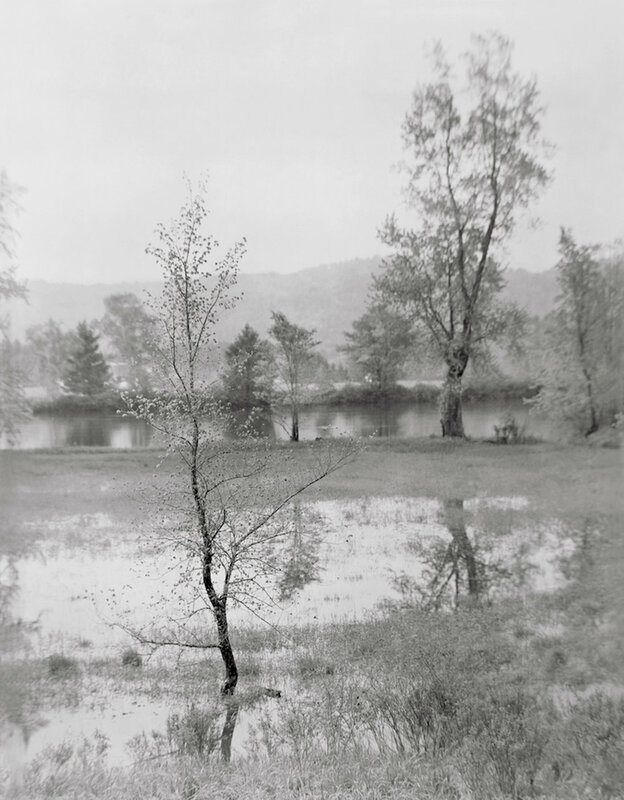 My prints are particular, and usually rare, due to the paper stocks on which they are printed, the difficulties I often encounter in the darkroom, and the limitations of my energy. If I find myself satisfied with something, I try to make three fully realized, nearly identical, prints of an image in a printing session, on the same paper. This doesn’t always occur, though; it’s sometimes impossible. Occasionally only one successful print exists at the end, and I will go back to reprint if someone expresses a desire to purchase it. Printmaking can be head banging work, but it is most worthwhile. There are many variables that exist in the darkroom, and in the efforts to duplicate one’s results, and even good systems can sometimes not fully control the freshness of chemistry, consistency of temperature during the course of long development, changes in water from one season or darkroom to another, and changes in paper from batch to batch. And then there are mysterious things, occurrences which aren’t easily traced, and occasional accidents, which can destroy one’s work just at the final step. In some cases, whether the result of accident, carelessness or wild enthusiasm, something beautiful is created which can not be duplicated. With those prints I do not easily part. 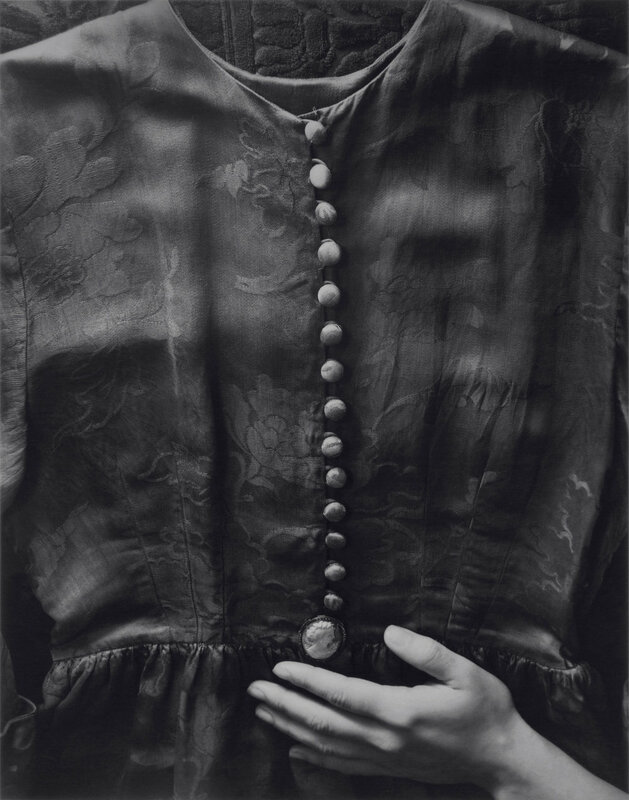 Walter instructed me to follow the example of Alfred Stieglitz— which he had not always been able to do— and to keep a copy of every important picture— the permanent images. And so I have. The prints which I sell are duplicates, usually made at the same time, but sometimes later, and sometimes better for it. The term vintage print seems to have a specific sense, but it can vary depending on the person using it. One accepted definition refers to a print made immediately or soon after development of the negative, and in some, extends to a period up to seven years afterwards. The print would be made by the photographer or under her supervision, with materials and procedures approved by her. The term often seems to imply increased value, as though the first printing might indicate a vision most faithful to the image, but this evaluation is difficult to apply to my prints, and to many photographers who work over long periods of time. My perspective on this follows closely on my feelings on editions. If not feelings, then diverse circumstances have impacted the continuity of my work, and gaps exist between exposure of negative, development of negative, and realization of the print. At times there have been years between them. It may take me a long time to recognize the importance of a particular image. It’s appearance precedes my understanding, and I don’t really see it. I struggle with being receptive to my pictures. I become critical, perhaps because the image doesn’t correspond to what I was seeking at the time, or I am busy with other things— housework, an idea— and don’t have time to give to it, or I find it too strange. This has happened many times. Other times I recognize that a negative is challenging technically, and that I am unable to give it what it needs to achieve a satisfying print on the initial attempts. So I leave it, returning to it, sometimes years later when I have insight into what it requires. For still others, I discover a new paper or learn a new skill which I feel will yield finer results for a picture and I return to view it anew. In the last ten years, I’ve also been printing by inkjet, and while I continue to pursue darkroom work, these prints have a place in the whole and stand on their own as finished pieces. then at 8 inches high in 1999, and most recently as a pigment ink print in 2010. Printed 2014 on Forte multi-grade warmtone paper. Taking precautions when working with silver materials, whether in mixing, handling or disposal must be elementary. There are genuine hazards to consider with traditional photographic chemistry and I admire those who have moved to completely non-toxic solutions. I appreciate the formulas I have worked with for the last twenty years and try to work responsibly. I wear gloves for all processing of film and paper, and a mask and goggles when mixing solutions. The raw materials remain available, and though diminished in variety and often in quantity of silver, many fine papers and films are still being produced. Decline in production of materials has occurred not solely because of economics or the advent of digital photography, but also due to the toxicity of certain chemicals, namely cadmium, which was banned in the countries where certain papers were manufactured. While I regret the diminishment of silver in the materials and the disappearance of Agfa’s Portriga and Record Rapid papers, it’s not for my personal safety that this must be, but for the safety of the Earth. 8 x 10 negative realized as a pigment ink print, 2018. Multiple attempts at making a gelatin silver print have failed, but I have another paper in mind, and even greater hopes that this will become an albumen print in the near future. It is perhaps presumptuous for someone without a career in photography to have opinions about much this, but I feel connected to the medium and to its history. If speaking about some of these things helps to preserve some of the traditions and to place in context some of the conventions, then I will be glad. Photography is ancient to me. It’s in the carved hieroglyphs of the ancient Egyptians, who understood well how their images would be perceived in changing light. It’s in every instant that we see and is lit up and impressed on our optic center. I feel there should be a closing statement here, after all this. Though not a treatise, I’m writing this as though it might contribute to some understanding not only of some aspect of my pictures, but of photographic printmaking at a time when it is no longer assumed that one is working with film or in a darkroom. I love color and all that it can express, yet imagine that silver corresponds to me somehow, not precious, but to be made use of into something fine. It possesses qualities which hold my attention in its passage from negative to positive. A material capable of expressing the spiritual values of the gray scale, one that gleams with its own light, and yet stains and reads as black. Restrained, it is capable of rendering nearly infinite shadow detail, and in exuberance returns to the print the highest whites of light. It is a medium which transports me to other realms, visible only in black and white and joy.